Abdul Sattar Edhi, who expired in Karachi on Friday night, is being taken from Kharadar to the National Stadium for `Namaz-i-Janaza’. The coffin of the legendary social worker has been wrapped in the national flag. 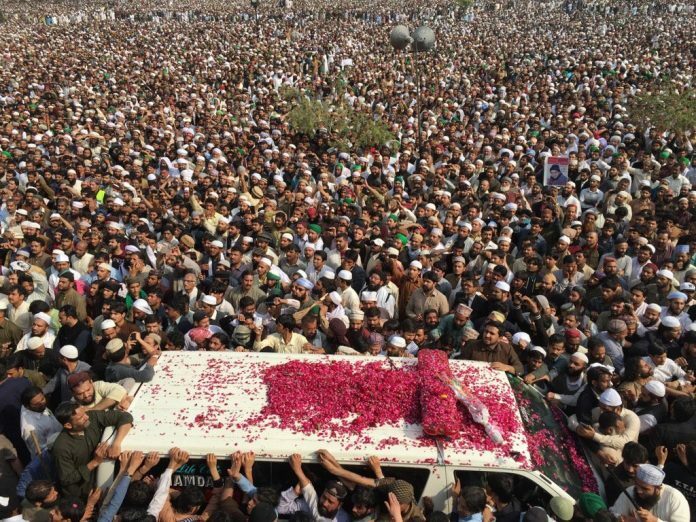 The Namaz-i-Janaza is expected to be attended by a very large number of people from all walks of life. Elaborate arrangements have been made for the Namaz-i-Janaza at the National Stadium. Strict security arrangements have also been made on the occasion. where he (Edhi) had prepared his own grave some 25 years ago. he be laid to rest in the same dress which he was wearing at the time of death. It was also his will that if any of his organs could be transplanted to any needy, this be transplanted as he would feel happy. However, due to Edhi’s age except for the cornea no organ could be donated. The cornea of Edhi Saheb has been donated, Faisal added.